WeatherBreaker Canopies are well known because they work well. 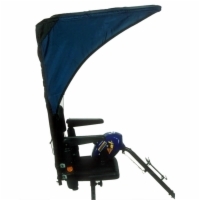 A WeatherBreaker Canopy protects you from the sun and rain like no other canopy can and mounts to more makes and models of electric scooters and power chairs than any other. These canopies are available in standard, vented mesh, and max protection models. 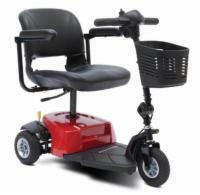 The Standard model has fabric all around the sides and back. 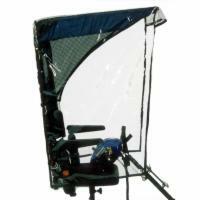 The Vented model has mesh sides and a rear mesh window with a removable cover. 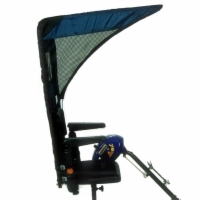 The Max Protection model has mesh sides and a rear mesh window with removable cover plus a drop over side plastic enclosure for superior protection.